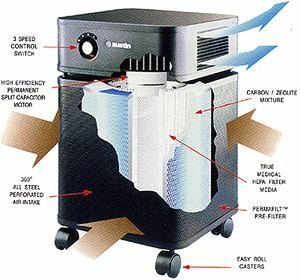 Austin Air Air Purifiers and Replacement Filters. 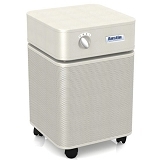 Austin Air Purifiers are perfect for Asthma, COPD, Severe Allergies and Chemical Sensitivity. Proudly made in the USA. 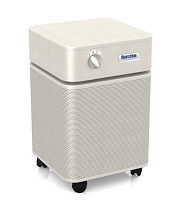 The Austin Air Healthmate Air Purifiers provide HEPA-clean, filtered air free of allergens, dust mites, chemicals and more. The Replaceable Filter contains up to 15 lbs. of Activated Carbon and Zeolite working with 60 sq. ft. of True Medical Grade HEPA filtration for your health. Available in decorator colors to match your decor. Solid Steel construction, no off-gassing. Durable, long-lasting replaceable filters with a 5 year filter warranty. Austin Air Healthmate: The air purifier designed from the inside out. If you have any questions, or need advice about which Austin Air HealthMate is best for your needs, call, chat or email us. High Strength Steel with non-toxic powder-coated finish for strength and durability. Long-lasting HEPA replaceable filter with a 5 Year Limited Warranty. Austin Air incorporates the same trusted HEPA air filtering technology used in hospitals and operating rooms. 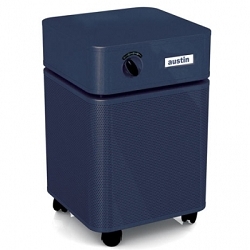 For filter effectiveness, Austin Air removes gases and sub-micron particles from the air. True Medical Grade HEPA and the addition of Activated Carbon in every Austin Air filter. All Austin Air products are made in the United States. The engineers at Austin Air concentrated on developing the most critical component of the air cleaner first; the high performance filter. Austin Airs 360-degree intake system draws air into all sides of the air cleaner, maximizing efficiency and delivering more clean air faster. Every minute, 250 cubic feet of air is processed by a 4-stage filter that progressively removes contaminants out of the air. STAGE 3 15 lbs. of Activated Carbon and Zeolite: Removes chemicals, gases and odors. 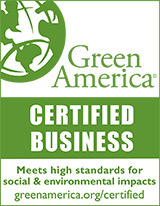 Achieve the highest levels of HEPA certified performance. 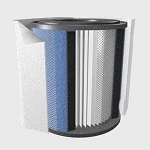 Sustain a longer replaceable filter life (5-years under normal residential use). Pree-filtration to increase the life expectancy of the Medical Grade HEPA, the most critical media in the filtration process. For an air cleaner to be effective it must remove sub-micron particles, noxious gases and chemicals, without creating any by-products such as ozone. In every Austin Air cleaner, you will find True Medical Grade HEPA and Activated Carbon, the only trusted filter technology used in hospitals and operating rooms. Developed by the Atomic Energy Commission to specifically protect the Human Respiratory System, True HEPA is the most effective particulate filtering media on the market. Austin Air True Medical Grade HEPA removes 99.97% of all particulates as small as 0.3 microns and 95% of particulates 0.1 microns and smaller. Austin Air uses specially manufactured Activated Carbon, which is highly porous, giving the carbon a larger surface area to chemically bind and adsorb more impurities such as Volatile Organic Compounds (VOCs), chemicals, cigarette smoke and other noxious gases. Unlike electrostatic-precipitators or ionic generators, Austin Air cleaners do not emit any by-products, no toxic ozone. Many customers rely on their Austin Air cleaner to control very serious respiratory conditions, such as asthma, COPD, allergies and more. Even the smallest amount of an irritant (ozone being one of the most toxic) can have severe effects. Had those customers purchased an electrostatic precipitator or ionic generator, they would still be suffering unnecessarily.